Actually, before we get into Scriptapalooza itself, I think everyone would like to know more about you. (Cue the flashback dissolve.) What originally brought you to Hollywood? About 17 years ago, I moved to Hollywood to get into the acting business and after years of just doing commercials and getting little parts in movies, I was kinda getting sick of the acting world. A lot of my friends were writers and always complained about screenplay competitions, how a lot of them were a joke, or you send in your script and don’t even know who’s reading it. I said to myself, let’s change that and that’s how Scriptapalooza was born. How did you start Scriptapalooza? And who helped you? I started Scriptapalooza with two people who were writers at the time. I came from a business side of the project, they came from the writing world, and we came together to start Scriptapalooza. At the busiest time of the year, we have five to six people on the staff. They deal with numbering scripts, answering phone calls, sending emails, clerical duties and making script deliveries to the producers and studios. Scriptapalooza is an immense undertaking – the product of frustration with the way the industry works and the desire to see new writers get their work picked up by studios. When you first started, did you ever have thoughts like, "Oh god, what have I done?" I never really felt that way, because I really love Scriptapalooza and what we have accomplished and created. Sure there are times when it’s hectic and just crazy busy, but I enjoy the whole process of seeing new writers getting hired or their scripts being optioned and then eventually their script being made into a movie. The unique thing about Scriptapalooza is that all the reading is done by over 90 producers. We don’t use readers or “regular people” like other competitions because that’s pointless – they can’t do anything with your script. We go right to the source, to the people that can set up a meeting, option your script, buy it or go right to the studio with it. This year will be Scriptapalooza's 12th annual competition (may we see a hundred more). When did you feel that you had created something durable? Honestly, I felt we started something special in the first year. We named the producers and agents who actually read the scripts coming in. We would list the company name, their name and their title, and I think that changed everything. No one else has ever done that sort of thing. Obviously, you must feel tremendous satisfaction when the winners have their scripts produced, but what is your favorite part of the competition itself? 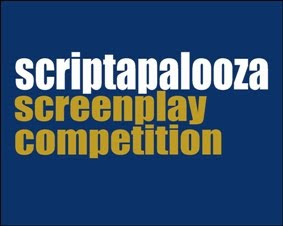 My favorite part is that writers from all over the world can enter our competition, get their script read by a producer and if they do well in the competition, they can see their writing career begin with Scriptapalooza. We open that door for them which is closed so tight in Hollywood. We are their vehicle to get them there. To see a writer, who perhaps lives in Montana, or somewhere far away from Hollywood, get their opportunity, that’s what this is all about. The funniest thing is when writers submit their original and only copy of their script, written with a type-writer (with hand-written notes scribbled over it and coffee stains on the pages, all of it!). Then four months later, they expect us to mail back their original script to them. The funny part is we usually did return the script. But this problem has been eliminated because now Scriptapalooza accepts email submissions. Are there plans for expanding Scriptapalooza? What is your ideal future scenario? 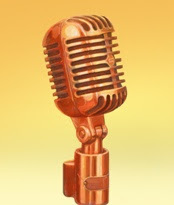 Besides the screenplay competition, we do have a Television Writing Competition and also a Coverage Service. Those keep us busy all year round. I can appreciate that Scriptapalooza keeps you busy all year round as it is, but let's say we're in a time fifty or a hundred years from now – moon colonies, androids, and so forth – what would you like to see in Scriptapalooza's future? Ideally, and I think we're close, is that when we announce the winners, all the top 13 writers are represented and their scripts go into production, win several Academy Awards, and the writers thank The Academy and Scriptapalooza. Now let's talk a little bit about the coverage service you offer. Among the numerous features of Scriptapalooza, you provide professional analysis of screenplays. How does this work? 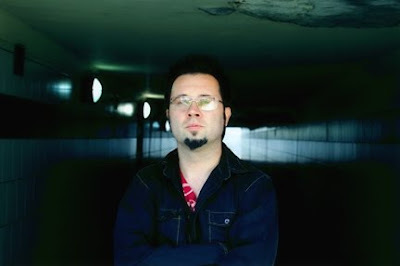 The writer sends you his or her screenplay and then what happens? We have two types of coverage: regular and development. We break down the script page by page and give back notes on structure, plot, story, characters, dialogue and the first 20 pages. Also, you get a logline, synopsis and script back with notes on it. Is it a one-time analysis, meaning, the writer receives your comments and that's it, or do you engage in a back-and-forth process? It is a one-time analysis but usually after we’re done with the script, the writer has so many notes from us that they go right back and start rewriting their script. Yes, we do have writers that resubmit their script for coverage, but usually we don't have them keep resubmitting the script, because after we go over it two times, the writer is pretty much set with us giving the notes for improvement. At that point, they can take it back to their agent or manager. We don't shop scripts for writers. Earlier you mentioned Scriptapalooza’s international aspect. Both the competition and the coverage service are available to writers outside the U.S. What's the approximate ratio between domestic and foreign submissions? I would say about 80% of our submissions come from the US and about 20% come from writers outside the U.S.
Are there any particular trends in writing you've noticed over the past years? I do think writers are getting better at writing. There are so many classes and books nowadays and it seems as if writers are taking their time and really crafting good material. Every year Scriptapalooza gets more competitive, because we keep getting better writers submitting their scripts. You feel that writing has improved over the years and yet there seems to be a pervading sentiment that movies are getting worse/more shamelessly formulaic. Well, as we all know, what is written on paper isn't always reflected on the screen. What really makes a script stand out (aside from being carefully proofread, I imagine)? Is it story, dialogue, accurate descriptions? I believe dialogue is without a doubt the most important part of a script. I can tell when reading a script if dialogue between characters flows or breaks and doesn’t feel natural. It’s very difficult to write great dialogue. If you can master that, you will write a great script. You have a TV screenwriting competition as well. What would you say are the fundamental differences between writing for television and writing for film (aside from length)? Writing for TV is very different. You have to follow a different format and if you're writing a spec for let's say FlashForward, you need to know the characters and storyline. Of course, if you are writing a pilot, you are creating your own story and characters. Some stories are better suited and easier to make for television. There are a lot of cable options for full length scripts these days. The production costs will be lower but the writing quality is still there. A lot of names were considered, like the California Screenplay Competition, but we really wanted a name to stand out and not be forgotten. One day Genevieve, one of my partners, said “Scriptapalooza” and the rest is history. See here for more details about submissions, rules, and deadlines for the 12th Annual Scriptapalooza. Special thanks to Mark for the fun interview and everyone on the Scriptaplooza team. Best of luck to this year's contestants! It's so encouraging to learn about Scriptapalooza. I have never written a screenplay, but like knowing there's a place to send if I ever do. My novellas go nowhere. Great interview Stella. I hadn't expected you to be interviewing, even if it was about screenwriting, but when I saw this line: but let's say we're in a time fifty or a hundred years from now – moon colonies, androids, and so forth, I knew. Why *don't* you write screenplays? Seriously. Your writing contains unique visuals and sharp dialogue. Thank you, Stella. Do you want to do one together? My problem is I see very few movies and no television shows. That sounds strange and often leaves me in cultural distress, but I write and read and have fun with my husband more than I would if I studied the video arts. So why not consider it? Your name could go first. Mark is dead wrong. Dialog is the least important part of writing a script and the biggest mistake beginning screenwriters make is believing this. It is very easy to change dialog. It is often changed by actors, producers, writers and directors on set. It's also easy to bring in better dialog writers. What is difficult is writing something that is beautiful. Getting that feeling and tone across with words. That is a mix of almost everything but to say dialog is the most important, wrong. Anonymous - I'm sure Mark would agree with you that what's written isn't always what's realized. Everything is important when you write; I think Mark was simply expressing that good dialogue is more likely to catch a reader's attention.